In the past few years Greater Noida has become a hub for investment in real estate. The residential projects that have been launched in this area are designed to meet the requirements of the people and provide them an area where they can lead a healthy lifestyle in a luxurious manner. 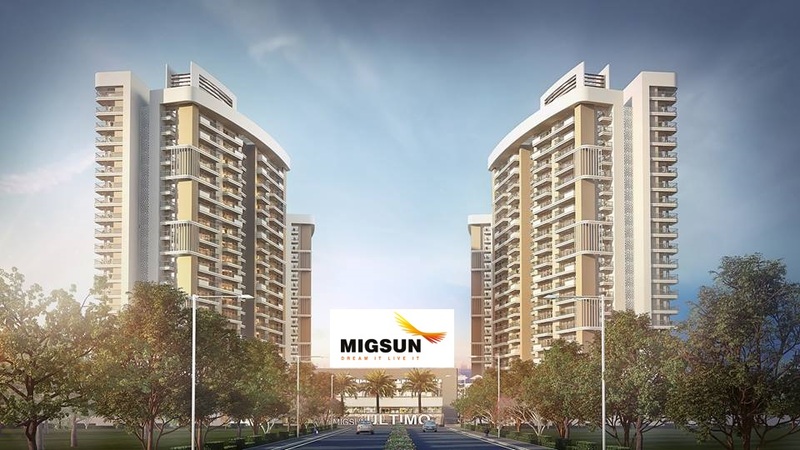 Migsun Ultimo offers a number of residential projects which will make you experience a new way of living in advanced and well built apartments. The new projects that are in progress are planned to offer a perfect blend of luxuries and comforts. Most of the Migsun projects, no matter they are residential or commercial are designed with a high level of perfection. The greenery around you will never let you lose your touch with nature. Advanced fire alarms and security makes it a safe place and a well maintained parking area along with wide and well illuminated roads is an added feature. The flats have non slippery floors that prevent falls and the doors and windows are made of hard wood. The apartments comprise of designer walls with plastic paint that perfectly complement the interiors. An area to jog, meditate and perform yoga makes it comfortable for fitness freaks along with a play ground for kids is enough for them to enjoy. Innumerable restaurants and other sources of entertainment make this place interesting. The structure is earthquake resistant which means that you are safe from this natural calamity. So, if you want an area that is safe with good surroundings then this place is undoubtedly the best. The rates are quiet affordable. Migsun Ultimo has defined luxury well and have made things easier for people leading hectic lives in the metro city. This entry was posted in Housing Projects and tagged Flats in Greater Noida, Housing Projects in Greater Noida, Housing Projects in Noida, Residential Projects in Greater Noida on January 9, 2015 by admin.